Councilman Bob Weiner, who represents the area, said changing the rules makes sense to encourage less asphalt across this development and others. "From an environmental point of view, it makes more sense in land-use planning terms to be building environmentally friendly parking structures that are aesthetically pleasing ... rather than creating a sea of asphalt," Weiner said. A day after telling New Castle County officials his company could "revisit" whether they want to stay, an official for Corporation Service Co. said the 980 employees are going nowhere. On Tuesday, Ian McConnel, the company's director of government affairs and general counsel, told members of the county's Land Use Committee that his company would be "re-evaluating whether or not we can stay in northern New Castle County" if new development rules regarding a proposed parking garage at its Greenville site are delayed. 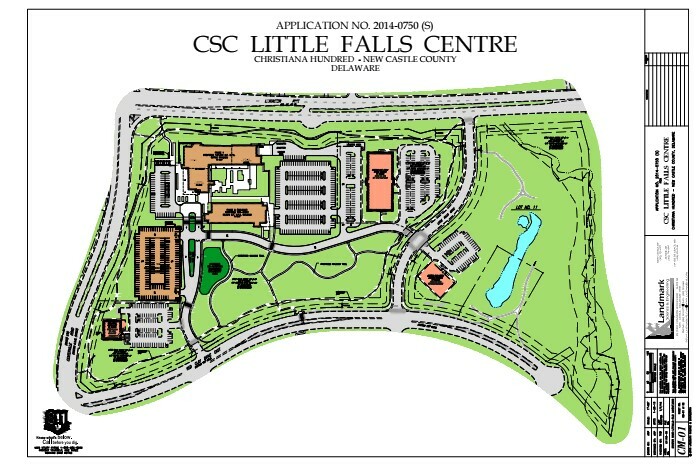 CSC plans to spend more than $70 million to build a headquarters at Lancaster Pike and Centerville Road, near Greenville, over the next two years. Company officials say plans have been slowed by the county's development rules on parking garages. The company has been working with county officials and local civic groups on a legislative solution that would allow them to begin construction on the project more quickly. McConnel sought to clarify the company's position Wednesday, saying the project will go forward with or without a parking garage, but the location of the company's future growth "is not a foregone conclusion." "We will always have a presence here in Delaware," McConnel said. "But we don't have to continue to grow here." The company has nearly tripled its Delaware workforce in the past 15 years, he said. CSC provides administrative and financial services for large corporations and law firms with 980 workers across six offices in Delaware. The company was founded by two Delaware lawyers in 1899 and has another 1,000 employees around the world. Last year, the company announced its intention to consolidate its six Delaware offices into a new headquarters in New Castle County. The company has approval for a 140,000-square-foot, four-story office building from county land-use officials. The development plan also has another, smaller office building that the company does not plan to build yet. 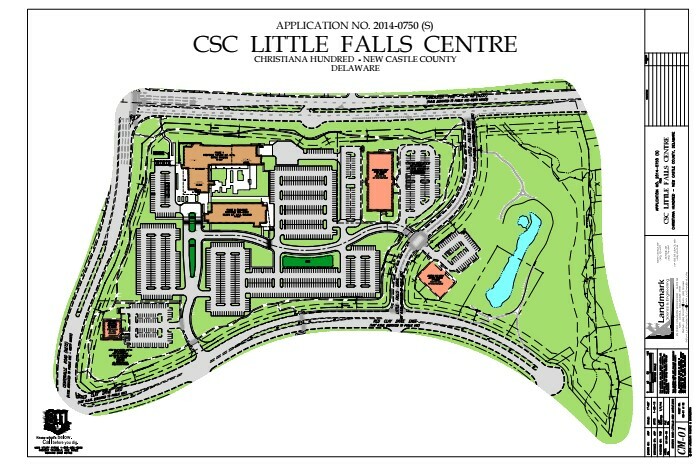 CSC would like to situate most of the development's parking spots in a garage beside its proposed office building. Under current rules, adding the square-footage of the garage to the proposal would make it a major development plan requiring a traffic study. 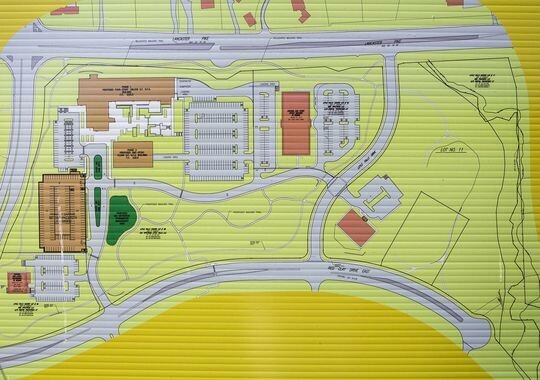 County Council is expected to vote on legislation Tuesday that would disregard the size of a proposed parking garage when determining whether a development proposal is a major development or minor development. Minor developments have fewer regulatory hurdles and are allowed to proceed more quickly. On Wednesday, McConnel emphasized his company's appreciation for the county working on the proposed legislation. McConnel said the company had hoped construction would be underway by now. He said expiring leases at the company's current offices dictate construction needs to begin soon. "Anything that requires additional state review or public hearings creates attendant delay," McConnel said. "A major land record process may require a traffic study, but there is no difference between [the number of] cars in a surface parking lot and cars in a parking garage." McConnel said the company would prefer to have recruits, employees and clients greeted by more open space rather than large swaths of asphalt. 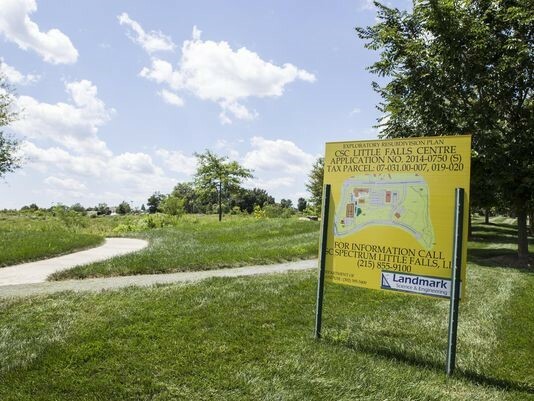 Having the garage will allow the company to keep a 4.5-acre piece of the property as a landscaped meadow. The garage will cost the company about $10 million more than traditional parking, he added. "What do our clients see when they come to visit us? What do our neighbors see living near us? It is partially about attracting top-tier talent, but is more than that," McConnel said. CSC officials have been working with local community groups and county government for a legislative fix to this for more than a year. Councilman Bob Weiner, who represents the area, said changing the rules makes sense to encourage less asphalt across this development and others. "From an environmental point of view, it makes more sense in land-use planning terms to be building environmentally friendly parking structures that are aesthetically pleasing ... rather than creating a sea of asphalt," Weiner said. During Tuesday's meeting, Councilman Penrose Hollins said he was concerned by the new rules dictating the Board of Adjustment has authority to review whether a proposed parking garage fits with the character of a community. He feels council should have that authority. "We know there is protection for the environment, community and council. We ask you to support this," said Mark Blake, representing the Greater Hockessin Area Development Association. The County Council is expected to vote on the legislation Tuesday at 6:30 p.m. meeting in the Louis L. Redding City/County Building at 800 French St. in Wilmington.